Travelers love Karur, especially pilgrims, not just for the fact that it is the home of numerous tourist attractions and historic religious sites, but also that Karur is an ideal short break or getaway address in itself. Although, as much as people love the Vanjimanagar Karur, there are occasions where people prefer to break loose from a familiar atmosphere and look for a whole new space! Not to worry; Karur has an answer for all your weekend woes. Find below the handpicked list of some of the most popular options for Top 10 Weekend Getaways from Karur or short breaks from Karur. From religious sites to entertainment sites, heritage sites to nature sites, beaches to mangroves, Karur getaway has it all! 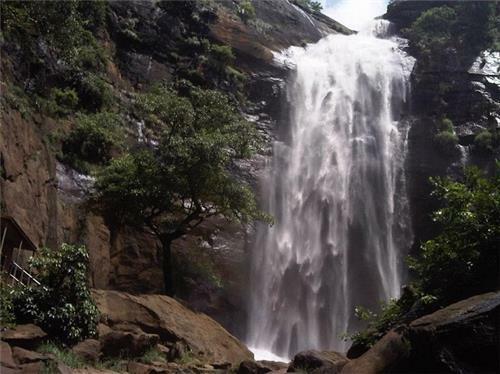 You will be assured a remarkable vacation even on a two day getaway from the textile city of Karur. Let's take look at the Top 10 Weekend Getaways from Karur (in no particular order). Located along the banks of the Cauvery River, Erode is a historic city that was under the supremacy of various rulers at different times. Erode is located at the heart of the South Indian Peninsula, approximately 410 km away from the southern metropolis of Chennai (via NH45 and NH 68) and 99.8 km away from the Manchester of South India, Coimbatore. 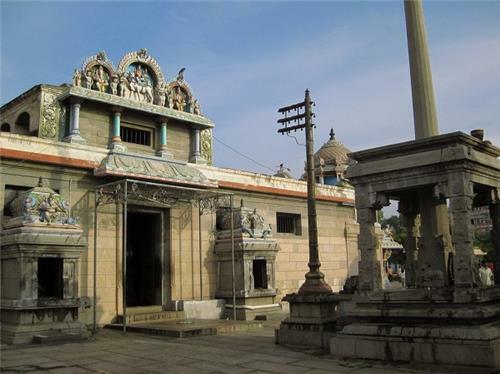 Erode is the home of a long list of interesting places of interest which include Kodumudi Brahma Vishnu Shiva Temple, Bhavani Sangameshwarar Temple (Mukkoodal), Sivanmalai, Natadreeswarar Temple, Vattamalai, Thindalmalai, Chennimalai, Bannari Amman Temple, Thindal Murugan Temple, Bhavanisagar Dam, Sankagiri Fort, Kodiveri Dam, Erode Government Museum, Vellode Bird Sanctuary, Periyar Memorial House and so on. Remember to fill your bags with some authentic turmeric, after all Karur is fondly called as 'Turmeric City'. Besides, take advantage of the affordable textile products in Karur like bed spreads, towels and so on. Located 431 km away from the southern metropolis Chennai (via NH45) and 104 km away from the Rockfort city of Tiruchirappalli (via NH45), Dindigul is an age-old city that has a substantial history that dates back to the Early Pandyan Kingdom. 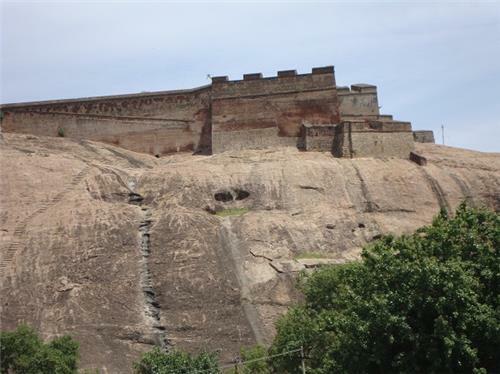 Owing to its rich historical background, Dindigul is the home of a lot of prominent historical monuments including the notable Rock Fort. Some of the must-visit places of interest in Dindigul include Dindigul Rock Fort, Arulmigu Soundarraja Perumal Temple, Thiru Avinankudi, Palani Murugan Temple (Thandayudhapani Temple), Sirumalai, Periya Avudaiyar Temple, Pada Vinayakar Temple, Periyanayaki Amman Temple, Kannadi Perumal Temple and so on. Popularly called as the 'Princess of Hill Stations', Kodaikanal is one of the most visited tourist destinations in the southern state of Tamil Nadu. 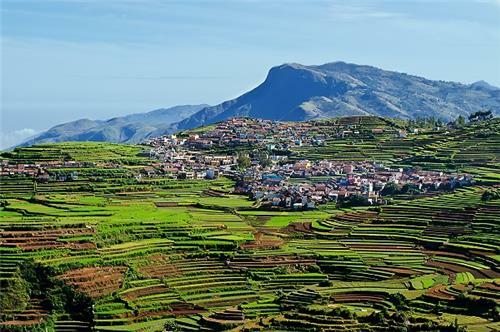 Located at an altitude of 6,998 ft (2,133 m) above sea level, Kodaikanal is all about meadows, grasslands, high hills, pleasant climatic conditions and rich plant life. 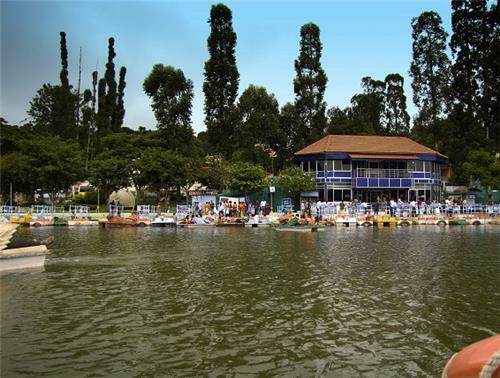 Interestingly, Kodaikanal is regarded as the most popular romantic destination for honeymooners in the state as the hill station is dotted with numerous scenic and picturesque attractions. Some of the must-visit places of interest in Kodaikanal include Dolphin's Nose, Pine forests, Bear Shola Falls, Shembaganur Museum of Natural History, Silver Cascade, Kodaikanal Solar Observatory, Pillar Rocks, Green Valley View, Church of South Indiam Kurinji Andavar Murugan Temple, St. Peters Church, Ellis Villa, Union Church, Kodaikanal Lake, Bryant Park, Guna caves, Coaker's Walk, Berijam Lake and so on. Located 391 km away from the state capital city Chennai (via NH45 and NH 68) and 88.8 km from the Malaikottai Maanagaram of Tiruchirappalli (via Salem - Namakkal - Trichy Road/Tiruchengode - Namakkal - Trichy Road), Namakkal is a renowned temple town. The pilgrimage destination is dotted with numerous religious sites that receive regular local, national and international visitors throughout the year. Some of the most significant places of interest and temples of Namakkal include Sri Namagiri Lakshmi Narasimhaswami Temple, Kollimalai Peryaswamy Temple, Namakkal Fort, Sri Ranganathar Temple, Thathagiri Murugan Temple, Kollimalai Ettukai Amman Temple, Namakkal Sri Anjaneyar Temple, Botanical Garden, Kollimalai, Kollimalai Agaya Gangai Waterfalls, Kollimalai Boat House and so on. Located 330 km away from the state capital city Chennai (via NH45), Tiruchirappalli is fondly called as Trichy is the geographic centre point of the southern state of Tamil Nadu. 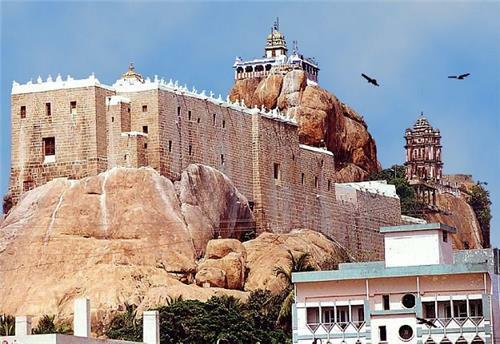 Trichy is a renowned destination that it has something to offer for every type of visitor. The region is dotted with interesting tourist attractions across the length and breadth. Some of the most popular places of interest in Tiruchirappalli include Srirangam Sri Renganatha Swamy Temple, Kallanai Dam, Ponnaniyaru Dam, Puliancholai, Rockfort Temple, Mukkombu, Amma Mandapam Ghat, Begam Sahiba Masjid, Arulmigu Uthamar Kovil, Trichy Government Museum, Natthersa Mosque, Kaatazhagiya Singaperumal Temple, Our Lady of Lourdes Church, Samayapuram Mariamman Temple, Thiruvanaikaval Jambukeswarar Temple, Thiruvellarai Sru Pundarikaksha Perumal Temple, Chowk Maidan Masjid, Woraiyur Vekkaliamman Temple, Pachaimalai Hills, Kolli Hills, Sirumalai Hills, Thirupattur Sri Brahmapureeswarar Temple and so on. Located 367 km away from the state capital city Chennai and 29.32 km away from the steel city of Salem, Yercaud is a popularly called as the 'Jewel of the South'. Yercaud is situated in the Shevaroys chain of mountains in the Eastern Ghats ranges of mountains; the Yercaud hill area is known as the Shevaroy Hills. Located at an elevation of 1,623 m (5,326 ft) above sea level, Yercaud is all about lush appearance of flourishing vegetation, coffee estates, green fields, high trees, rich wildlife and pleasant climatic conditions. Some of the most populat places of interest in Yercaud include Yercaud Lake, Servaroyan Temple, Green House, Botanical Garden, Sri Lalitha Thripura Sundari Amman Temple, Silk Farm and Rose Garden, Karadiyur View Point, Bear’s Cave, Lady's Seat, Killiyur Falls, Pagoda Point, The Grange and so on. Located 538 km away from the state capital city Chennai (via NH45 and NH 68) and 43.3 km away from the Manchester of South India, Coimbatore (via NH209), Pollachi is one among the important towns of Coimbatore district. Regarded as the most prominent cattle market in all of South India, Pollachi is often called as 'Mini Kodaikanal'. Owing to the fact that Pollachi is very close to the Western Ghats mountain ranges, the region enjoys a pleasant climate throughout the year. 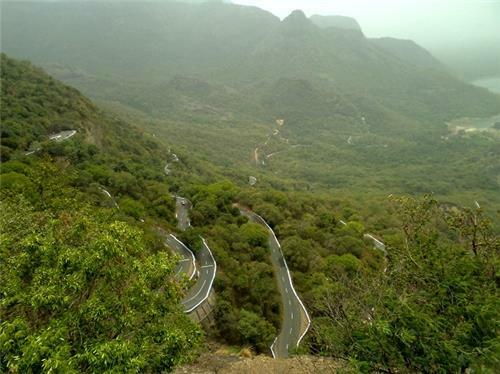 Some of the most popular tourist attractions in Pollachi include Anamalai Wildlife Sanctuary, Topslip, Parambikulam Dam and National Park, Valparai, Aaliyar Dam, Eachanari Vinayagar Temple, Aliyar Ashram, Monkey Falls, Masani Amman Temple, Sulakkal Mariamman Temple, Pollachi Market, Thirumoorthy Hills, Amaravathy Dam and so on. Fondly called Thanjai and once called as Tanjore, Thanjavur is one among the important cultural junction of South India. 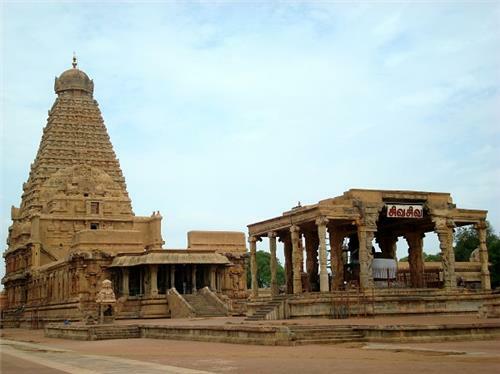 Located 346 km away from the state capital city Chennai (via NH45), Thanjavur is all about age-old art and architecture that are well represented through the number of monuments and religious sites in the region. Majority of the Great Living Chola Temples, which are approved as UNESCO World Heritage Monuments, are present in and around the region. Some of the most popular places of interest in Thanjavur include the world renowned Brihadeeswarar Temple also known as the Peruvudaiyar Kovil/Thanjai Periya Kovil, Gangaikonda Cholesvarar Temple, Ancient Monuments, Tamil University Museum, Sivaganga Garden, Thanjavur Maratha Palace, Grant Anicut, Archeological Museum, Saraswathi Mahal Library, Rajaraja Chola Art Gallery, Rajaraja Chola Museum, Schwartz Church, Nayak Durbar Hall Art Museum, Sangeetha Mahal and so on. Madurai, the Athens of the East is a celebrated temple town that receives hundreds of thousands of visitors from all over the globe on a daily basis! Located on the banks of the Vaigai River, Madurai is the third largest urban centre in the state and one of the oldest inhabited cities in the globe. 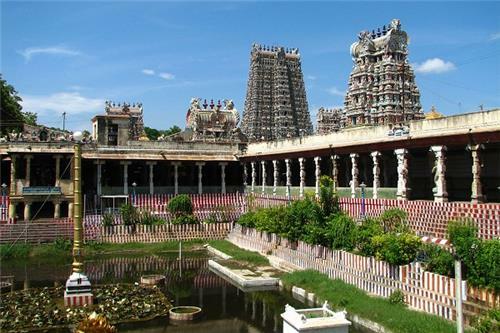 Considered as the cradle of Tamil civilization, Madurai is an important cultural hub of Tamil Nadu. Some of the important must visit places of interest in Madurai include Meenakshi Amman Temple, Thirumalai Nayak Palace, Madurai Gandhi Memorial Museum, Koodal Azhagar Temple, Rani Mangamma Palace, Tallakulam Eco Park, Rajaji Children's Park, Kazimar Big Mosque, Athisayam Theme Park, Pazhamudircholai Murugan Temple, Thiruparankundram Murugan Temple, Goripalayam Mosque, St. Mary’s Cathedral and so on. 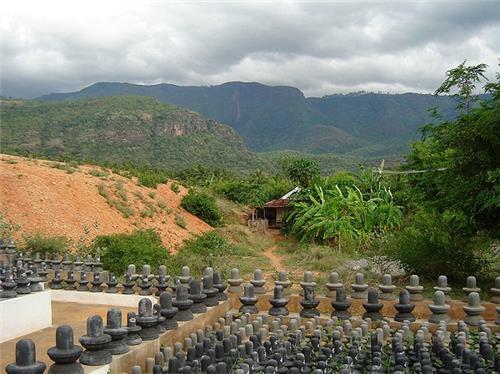 Located 509 km away from the state capital city Chennai (Via NH45) and 76.4 km away from the temple town Madurai (Via NH49), Theni lies at the foot of the Western Ghats Western Ghats mountain ranges. With its moderate climatic conditions, Theni is an ideal tourist destination that guarantees a remarkable time to the visitors. Some of the must visit attractions of Theni include Vaigai Dam, Meghamalai Hill, Kumbakarai Falls, Shanmuganathi Dam, Mavoothu Vellappar Temple, Devadanapatti Kamatchi Amman Temple, Periyakulam Balasubramaniya Temple, Sothupparai Dam, Kannagi Temple, Veerapandi Gowmariamman Temple, Veerapandi Kanneeswaramudaiyar Temple, Kuchanur Saneeswarar Temple, Chinnamanur Sivagamiamman Temple, Suruli Falls, Uthamapalayam Kaalahasthiishwara Swami Temple, Velli Malai, Cloud Land Falls, Mullaiperiyar Dam, Tiger Falls and so on.